Can y'all believe Christmas is only 3 days away!? Tonight I wanted to share a few pics my sweet fiancé took a few weeks ago under the Christmas tree! Y'all may recognize this white fur throw from my post here. I had no clue when I bought this throw on Black Friday it would come in so handy for blogging! Haha! So I have to tell the story behind these pants. Yes there is a story! Doesn't it make all kinds of sense that a sequin pair of pants would have a good story to go along with them? One day I walked into work, and one of my best friends at work (who I fondly refer to as my "Work Mommy") had an early Christmas present for me. Can you guess what it was!? 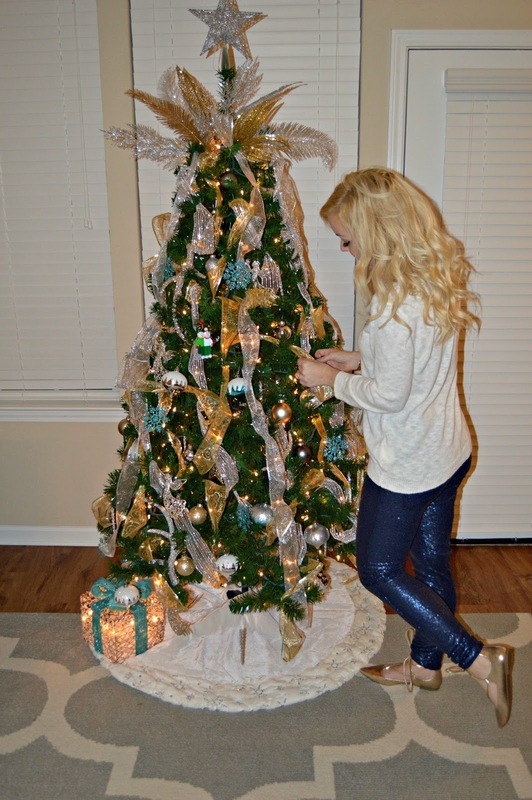 I kind of made it obvious, but YES, she gave me the sequin pants I'm wearing in this post for Christmas! I have been wanting a pair of sequin leggings for FOREVER and I was SO excited she gave them to me (the perfect gift)!!! Not to mention, these are SO comfy!!! They are sequins on the outside, but the lining is made of the softest cotton. Y'all seriously need a pair. 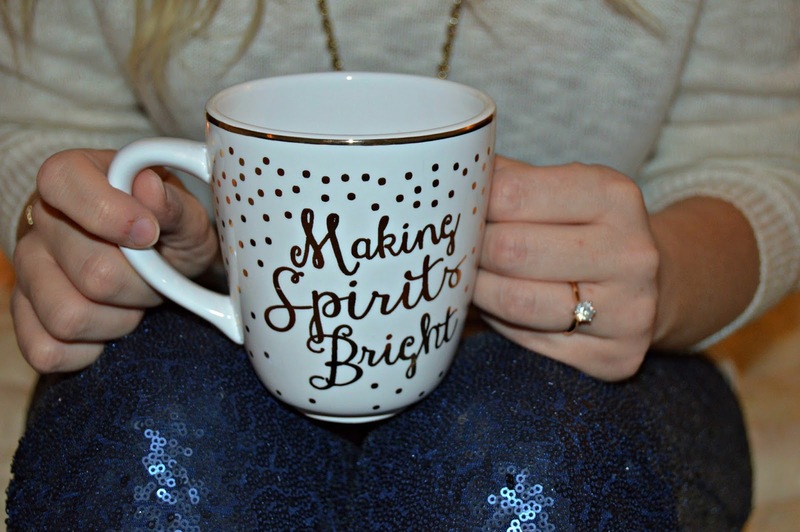 Plus, what is more perfect for the holidays (and NYE) than sequins!? My trick for wearing sequin pants is to make them the "star of the show" (to borrow a song lyric from Thomas Rhett 😉) and down-play the rest of my outfit. For instance, I decided to wear a casual, simple sweater to make the pants really shine (no pun intended...). Also, let's talk about these lace-up flats. Y'all may remember this was on my Fall Wish List. I love these shoes and the ballerina vibe they give (I used to do ballet when I was little!). Since this is a trendy item, I didn't want to spend a fortune on a pair of shoes. So, enter Old Navy, my go-to for trendy pieces at affordable prices. I may be guilty of buying these shoes in 4 different colors (I bought the black & olive green in the store, but ordered the gold & red online!). This gold pair is perfect for the holiday season! Check them out at the link under my picture above. Are y'all ready for Christmas!? I have finally finished my shopping but have to finish wrapping gifts...I better get to that! Thanks SO much for reading, as always, I appreciate you all! Also, be sure to enter my giveaway HERE, it closes in only 8 days!